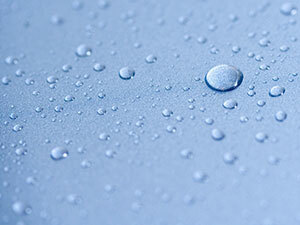 What does condensation and moisture mean to your business? You are here: Home	> Dehumidification	> What does condensation and moisture mean to your business? Condensation is the process whereby water vapour in the atmosphere is returned to its original liquid state. When moisture in this form exists indoors, problems such as damp and mould growth can occur. Although such conditions are easily treated using dehumidifiers, the problem is not uncommon. Simply increasing the indoor temperature does not alleviate the problem long term, and is costly and energy intensive. Our dehumidifier hire solutions are the most energy efficient solution, saving you money on the costs associated with rendering structural or cosmetic damage caused by condensation and damp. What impact could moisture have on my application? Developing stable environments for exposed metal to prevent corrosion. Reducing drying times at construction sites for concrete, insulation, and fireproofing. Blanketing equipment to protect from humid air. Drying out water-damaged buildings, eliminating the need to replace and reconstruct. Maintaining correct ambient conditions for the laying of flooring. Our solutions are among the most energy efficient available, saving you money on the costs associated with rendering structural or cosmetic damage caused by dampness. We offer units capable of handling up to 1,148 litres’ worth of drying power per day, affording high levels of dehumidification to agricultural facilities, warehouses, offices, construction sites and even domestic accommodation. For more information on our range of products, click here. Alternatively, call us today on 0800 211 611 to discuss your requirements with one of our expert sales team who will guide you towards the most appropriate course of action.